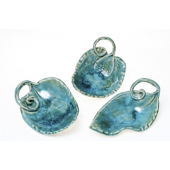 With more than 25 years in the field of Graphic Design & Illustration, Terry Askey-Cole adds Ceramics to her artistic expression. 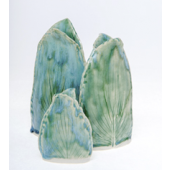 Terry brings her love of nature and the outdoors to all her creations. 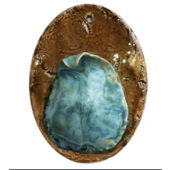 She specializes in hand-built ceramic leaf plates and platters, torn clay hand-built pieces, hand-painted functional ware, mosaics and sculpture that can be wonderful accents to any home or garden.